This project was created using Visual Studio 2017. Adding NuGet packages is much easier and faster than searching specific DLLs to add to your application. 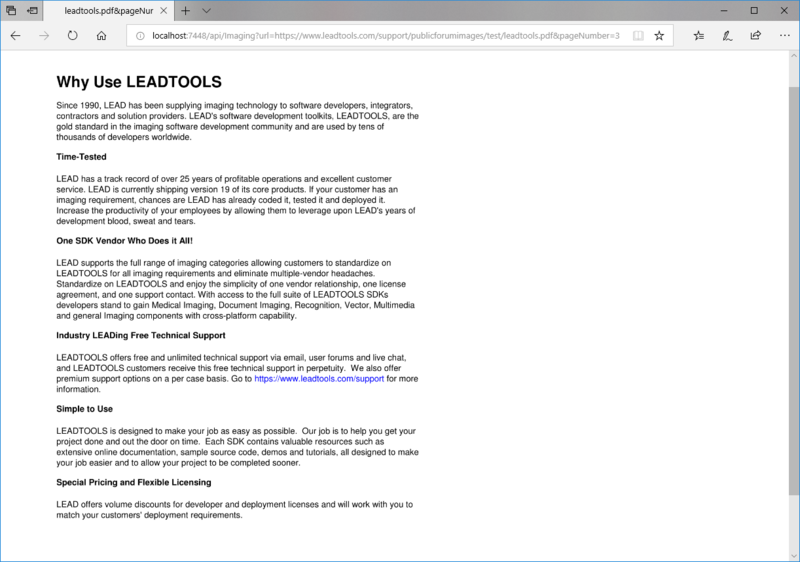 LEADTOOLS has 26 NuGet packages to choose from. For the purpose of this example, we will be adding four of them. 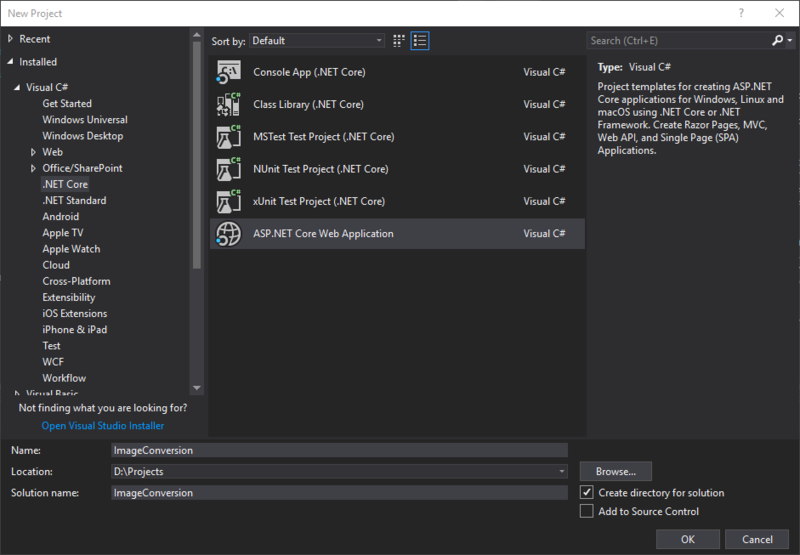 Right-Click the project and select Manage NuGet Packages. This will take you to the NuGet Package Manager where you can browse the four NuGets in the search bar. Select the NuGet package and hit Install. Now that the NuGet packages are installed, it is time to add the ImagingController and set your license. This class is where the URL is passed and loaded to a RasterImage. Once the RasterImage contains and image, you can convert/save it to any of LEADTOOLS supported file formats. Run the service in Visual Studio. This will open to the URL that is specified in the Project Properties, under the Debug tab. The demo will have a URL where you only need to append the hosted image URL. There is also capability to work with multi-page hosted images like TIF or PDF. If a page number is not given, the service will default to the first page in the image. To test this with the latest version of LEADTOOLS, download the free 60 day evaluation straight from our site. 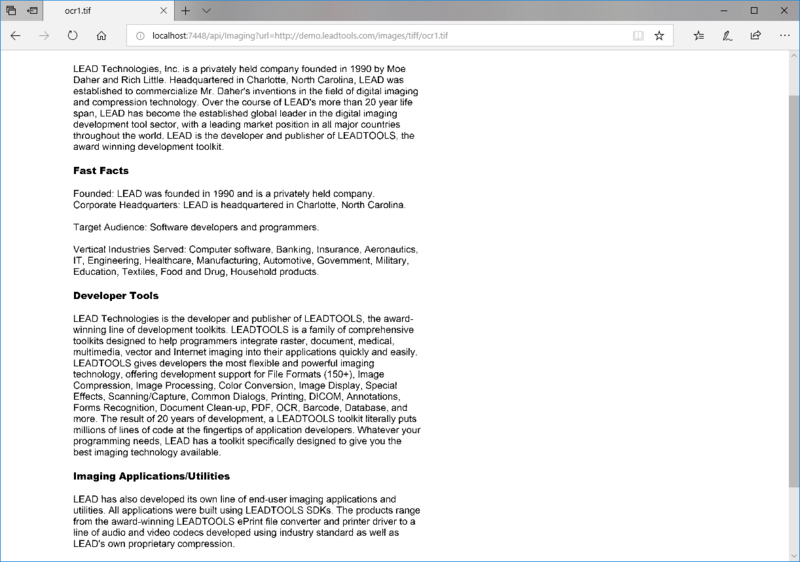 If you have any comments or questions regarding this, feel free to comment on this post or contact our Support department at support@leadtools.com. 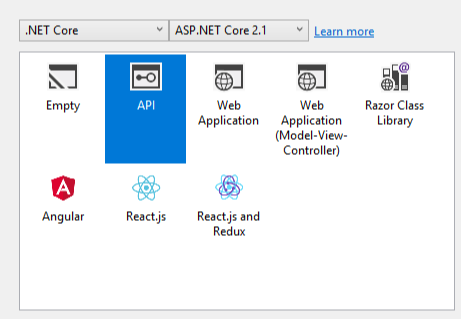 This entry was posted in File Formats and tagged .NET Core, Conversion, Convert, NuGet, Web API. Bookmark the permalink.